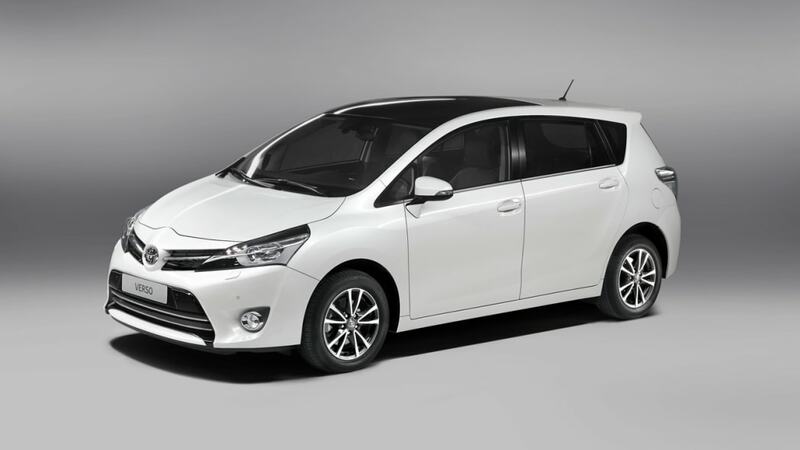 The seven-seat Toyota Verso mini-MPV was introduced at the 2010 Paris Motor Show, two years on its successor will be introduced in Paris in about a week. The mid-cycle changes include more than 300 new parts with threefold aims: bringing the exterior design in line with the just-refreshed Auris, upgrading the fit and finish and improving the driving dynamics. That means a redesigned nose with elements that emphasize the length and width of the car, like narrower headlights with daytime LEDs, tweaked taillamps above a rear bumper with an integrated diffuser, and in a reversal of trend, smaller door mirrors with integrated turn signals. Inside, a black satin finish and soft-touch surfaces ease up the eye and finger appeal, highlights are noted in satin chrome trim, lighting and graphics have been harmonized and been given better dimmer switch controls. There are also new seat fabrics and colors, and Nappa leather makes an appearance in some Verso models. Engines get a little extra engineering, too. The 2.0-liter, 175-horsepower D-4D engine is quieter and provides more torque at low rpm, the 2.2-liter D-CAT diesel puts out 148 hp, and both diesels get higher tow ratings. On the gasoline side, 1.6-liter and 1.8-liter Valvematics remain available. All of them will make better use of their power through the Verso's increased rigidity, an effect of more welding points used in production, and noise and vibration have been decreased through the use of more sound-deadening in the A-pillars and bulkhead. A press release below lays it all out while we wait for the Verso's intro in Paris. 19/09/12 -- The new Verso, unveiled at the 2012 Paris motor show, showcases Toyota's European design and engineering capabilities. It joins the new Auris and Auris Touring Sports as the third element in the company's renewed product offensive in the compact/family car market – the C-segment. With more than 300 parts changed, the seven-seat Verso has undergone a comprehensive mid-life upgrade. It builds on the established versatility, practicality and roominess of the current model, but adds more style and comfort and improved handling. On the outside it displays Toyota's new design language and a family identity that links it visually to new Auris and Auris Touring Sports. The interior has been improved, the 2.0-litre D-4D diesel engine has been revised for lower CO2 emissions, driving dynamics have been sharpened and NVH levels have been reduced. 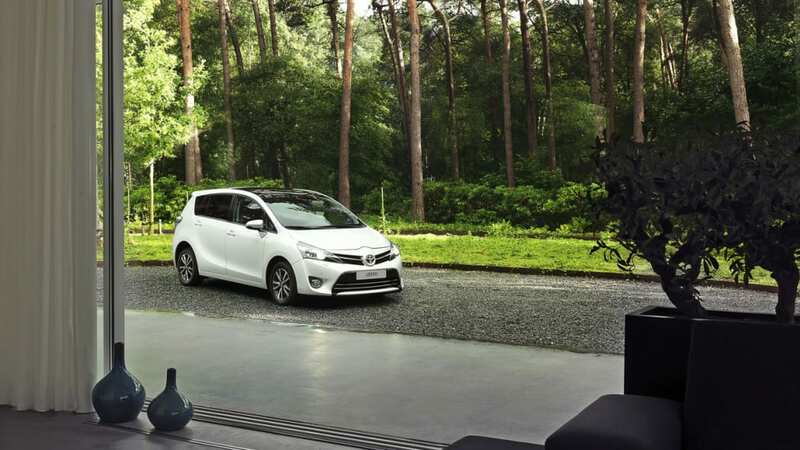 New Verso is the first full-scale project that has involved Toyota's European product planning, design, R&D and purchasing strategy operations from the concept stage onwards, demonstrating Toyota's commitment to a regional strategy. 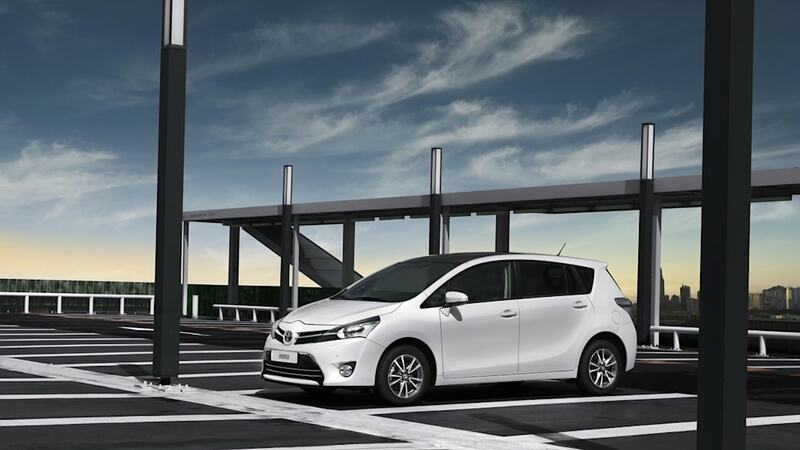 Vehicle planning, design and engineering were all led in Europe, and new Verso is being built exclusively at Toyota Motor Manufacturing Turkey. European sales are expected to be about 50,000 in 2013, giving the model an approximate five per cent share of its market segment. 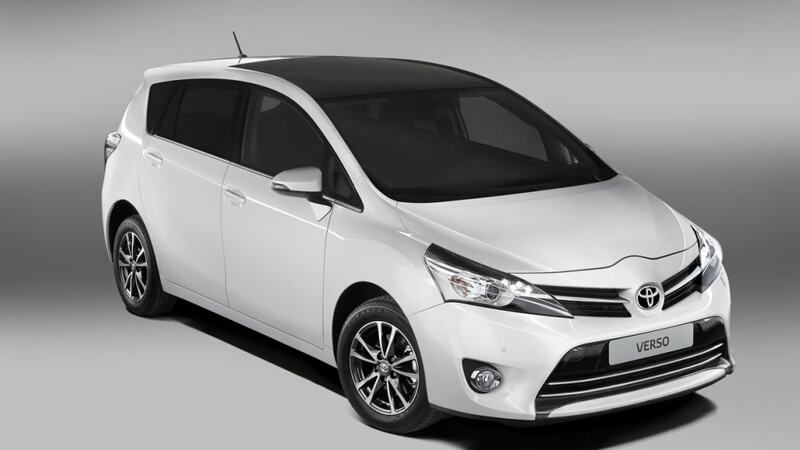 New Verso retains its distinctive "dual zone" styling, with a full length character line which, in profile view, divides the bonnet and cabin from the chassis and loadspace. The principal changes are at the front where the Toyota's new design language has been adopted to project a family look that gives the car a strong visual link to the new Auris and Auris Touring Sports. The aim has been to reduce the perception of the vehicle's height while emphasising its width and length. The details include a large, trapezoidal grille set within a redesigned bumper, and a smaller upper grille that spans the full width between new headlights. 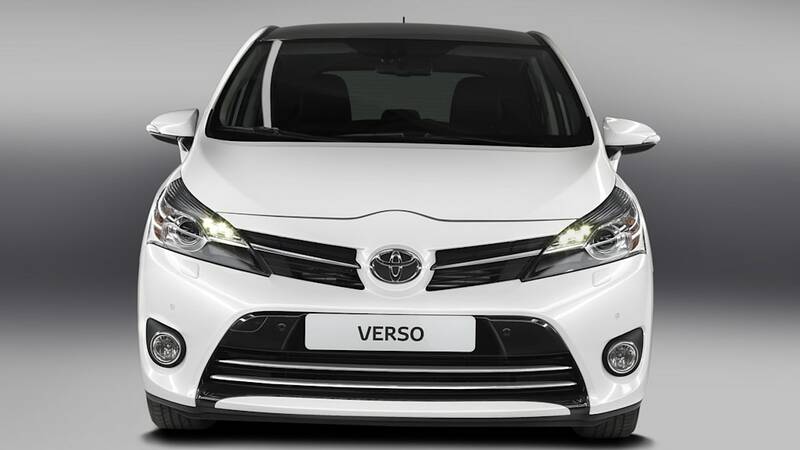 There is a larger Toyota badge, set lower on the bonnet, and a chrome-finish horizontal bar that extends into the headlamp units to accentuate Verso's width. The headlamp units themselves are narrower and incorporate new LED daytime running lights. On some versions, High-Intensity Discharge headlights are fitted. The larger lower grille has a gloss black finish and twin chrome strips, and is flanked by fog lights with chrome surrounds. There is also a full-width, body coloured lip spoiler, that also serves to emphasise the vehicle's width. The profile view changes with new, smaller, folding door mirrors with integrated turn signal lights. New wheels are available: the 17-inch alloys have the same design as before, but with a darker finish; the 16-inch alloys now have a machined face finish. At the rear there is a new bumper that incorporates an integrated low level diffuser. The colours of the centre and outer lenses in the rear light cluster have been changed and there is new trim for the rear licence plate. 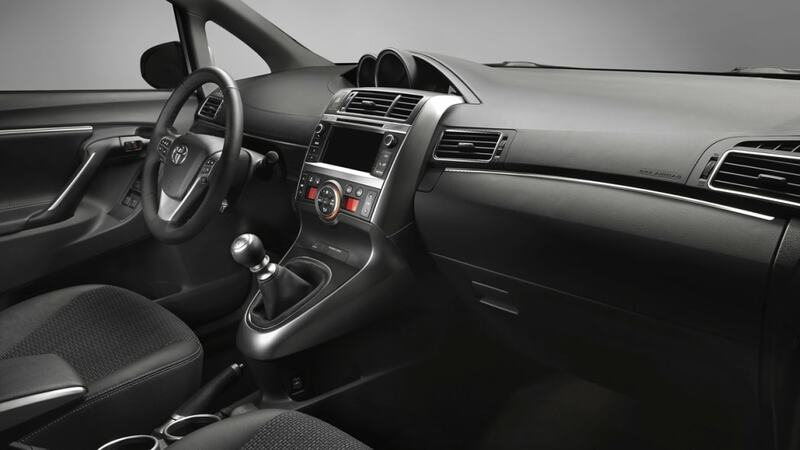 Changes to Verso's interior include extensive new trim details and a new satin black paint finish that is softer to the touch. Soft-touch material has also been introduced for the upper glovebox and, on some versions, Nappa leather is used around the steering wheel, door trims and armrest. Warm satin chrome trim highlights feature on the driver's instrument surrounds, the instrument binnacle hood, air vents, instrument panel, gear shift and door grips. The attention to detail in raising the sensory quality of the interior extends to using a new two-layer paint finish for the interior door handles. Measures have been taken to harmonise the appearance of the instruments and switchgear by using more consistent illumination and font sizes for the graphics. The driver's meters are now back-lit in white, and all switches have a deep orange illumination. A dimmer switch has been added to the controls so the brightness of the combination meter and the switchgear lighting can be adjusted simultaneously, giving a consistent lighting level. New seat fabrics, colours and designs have been introduced and across the range the front seats have improved side bolster support; the bolsters themselves have a harder-wearing finish. On higher grade versions the bolsters are leather-covered with double stitching to match the armrest and door trims. Another detail touch is the introduction of a jack-knife style key. Verso remains as roomy as ever and retains its best-in-class 975mm couple distance between the first and second row of seats. Toyota's Easy Flat-7 seating system delivers excellent flexibility, with a possible 32 different seating combinations. Individual seats are fitted in the second and third rows and those in the second row have a 195mm sliding adjustment range. 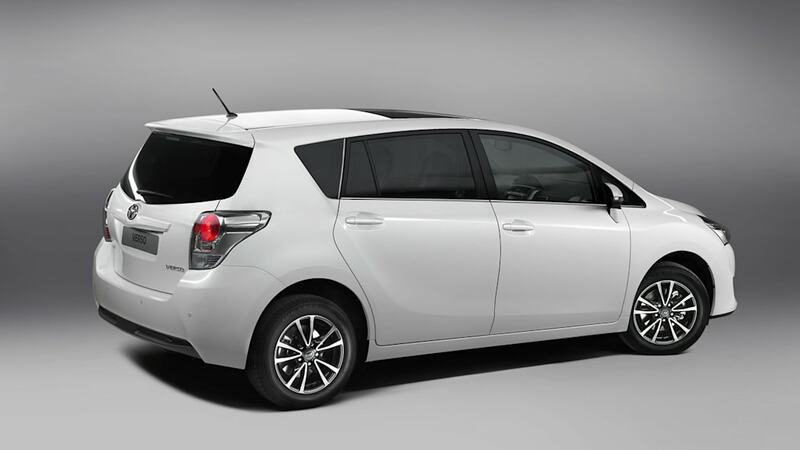 When all the rear seats are folded, new Verso has a flat load floor that is 1,575mm and 1,430 mm wide. With all seats in place the luggage volume is 155 litres; when the third row is folded, the figure rises to 440 litres. There is a boot management system under the floor where items can be stored out of sight. Its capacity varies according to how many seats are folded down, and whether a full size spare tyre or tyre repair kit is specified. The tonneau cover can also be stored in this space when not in use. There is plenty more storage around the cabin, include a twin-compartment glovebox, that has a cooled upper section large enough to carry a 1.5-itre bottle, and an 8.2-litre lower section. There is also a spacious centre console box, door pockets, seatback storage, fold-down tables with integrated cupholders, a drawer beneath the front passenger seat, an overhead consoles and pockets for the driver and front passenger that can be used to hold mobile phones or music players. A full-length panoramic roof is available, measuring 2,340 by 1,280mm, bringing significantly more light into the cabin and increasing the sense of spaciousness. Verso's 2.0-litre D-4D diesel engine has been revised for better torque delivery at low revs and quieter running. At the same the engine's CO2 emissions have been reduced by 10g/km to fall below 130g/km. The 2.2-litre D-CAT diesel engine will also be available, with a choice of six-speed manual or automatic transmissions. The former develops 175bhp/131kW with 159g/km CO2 emissions, the latter 148bhp/110kW and 178g/km. 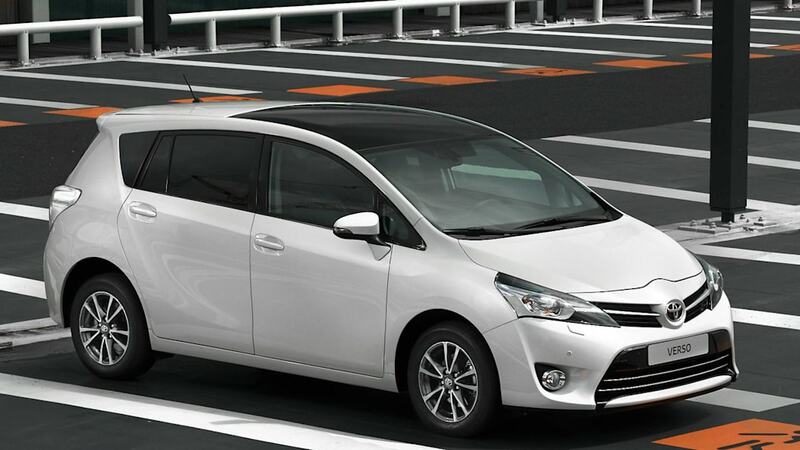 The towing capacity for all diesel-powered Verso has been increased by 200kg to 1,500kg. The 1.6 and 1.8-litre Valvematic petrol engines will continue. Both are matched to a six-speed manual gearbox, with the 1.8 optionally available with a revised Multidrive CVT that has been tuned to give more of a stepped gear shift feel, with engine revs building in a way that's more closely linked to vehicle acceleration. 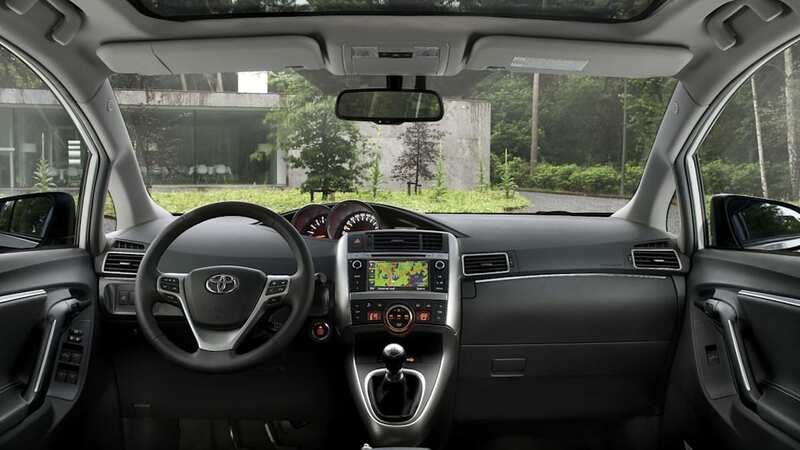 Verso is designed to ride with all the stability and comfort of a conventional passenger car. Its driving dynamics have been further revised to achieve even greater body control and more agile handling. Adding extra welding points has improved body rigidity, and the suspension (front MacPherson struts, rear torsion beam) has been tuned for a more comfortable ride. The electric power steering has been adjusted, too, for better feel and feedback. The cabin has been made quieter by adding sound damping to the A-pillars and the introduction of smaller, more aerodynamic door mirrors which cut the amount of wind noise. Engine combustion noise has been reduced, too, and better sound damping has been provided between the engine compartment and cabin.